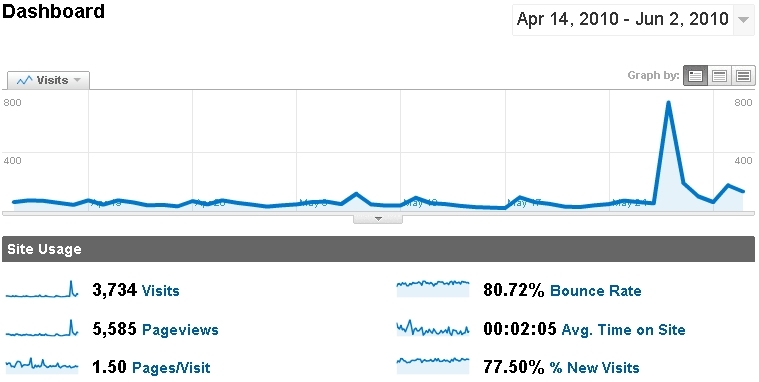 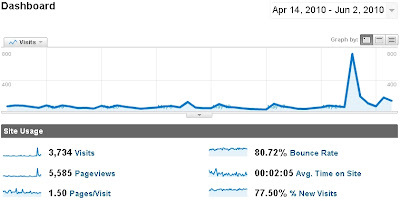 You may notice an increase in the number of visits at the end of May. 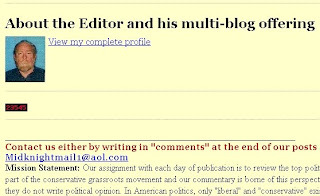 That was a result of a particular article I had written regarding former half-term governor Sarah Palin. 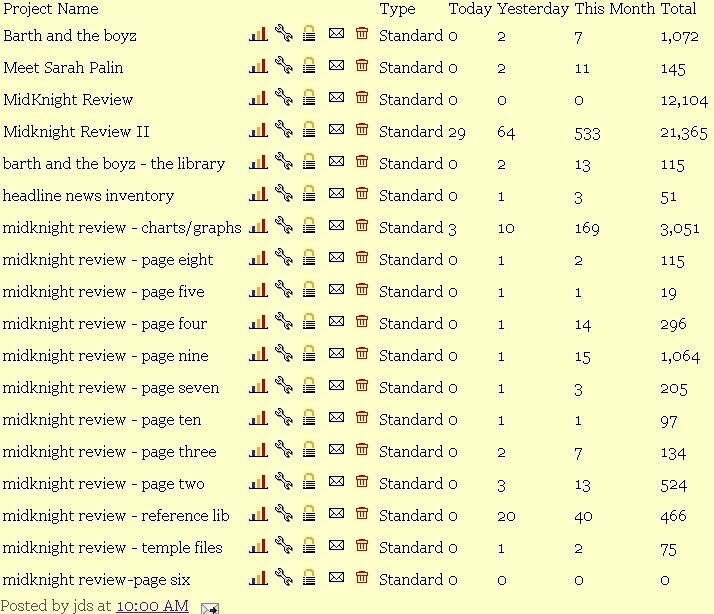 If you eliminate the visits I had received for that one particular article, I would have 2,552 - a 372 visit lead on The Midknight Review. 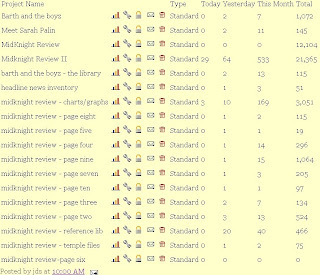 You may also notice that The Midknight Review included in their site statistics a whole bunch of other websites, but as I had demonstrated back in April, the counters don't take into consideration that each site is a separate from the other - I had visited each site the day prior to John Smithson's post and as I had indicated, my visits were counted separately, showing that my one trip to The Midknight Review was counted almost ten times.